The other major decision to consider, is the type of hosting account that you need. Typically, the hosting offerings are broken down into three types: shared, virtual private server (VPS) or dedicated. Shared Hosting – In a shared hosting environment, your website is hosted along with other websites on the same physical hardware (server). Your website will still be able to have its own unique domain, but will be sharing computing resources with other websites. Shared hosting is a very cost effective solution for web hosting, and can be a good alternative for low traffic websites. It is critical to choose a reliable hosting provider that does not oversell their services. Cons: Share server with many other websites. Restrictions on software, databases, and traffic. Provider can shut down your site for resource usage. Best Suited For: Small websites with small/moderate traffic and no specialized software. VPS (Virtual Private Server) – In a VPS hosting environment, your website will have it’s own virtual machine which is functionally equivalent to a separate physical server. In essence, you will have the software equivalent of a dedicated server even though the physical server you are located on will be running multiple virtual private servers. A VPS offering is a middle ground between a shared hosting environment and a dedicated server. A VPS offering can be ideal for mid-sized sites that require more computing resources than a shared host can provide. Pros: Allocated resources for CPU and memory. Choose service level to match your needs. Cons: You still are sharing the server with other accounts that may affect your site. Best Suited For: Midsize websites. Dedicated Server – As its name implies, with a dedicated server, your website is being run on a physical server that has no other websites being run on it. Dedicated servers allow larger websites to have the bandwidth and computing resources that they need. In addition, a dedicated server allows you to run specialized software that may not be allowed on shared or VPS hosting. Pros: Access to all resources available on the server. No other accounts on server. Cons: Expensive. May require more technical skills to manage. Best Suited For: Large sites with high resource/traffic usage. Sites with specialized software needs. After you have decided what type of hosting you are looking for (e.g., Linux/VPS), the real fun begins! Now you must determine how to choose between the hundreds of providers. In general, I believe that the following criteria are the most important (shown in order of importance). Service quality – Service quality refers to how well your website will be running on a given hosting provider. There are many factors to consider, such as uptime and site speed. Unfortunately, even though this is the most important factor to consider, it is also the most difficult to measure or predict. Virtually all hosting providers will guarantee uptime and talk up the quality of their service. In the real world, though, their offerings can vary dramatically and their guarantees are somewhat meaningless. For example, a hosting provider may guarantee a certain “uptime”, but in reality they are not measuring that for you, and if your site becomes incredibly slow because of an overloaded server, it will not be considered “down” from their perspective (even if it is practically unusable). 24×7 support – You may need help at any time of day or night. Telephone support – Sometimes it is easier to talk directly to a support person instead of chatting or exchanging emails. Chat support – Chat support is often best for quick questions and answers. Email/Ticketing system – You definitely want a support group that utilizes a ticketing system so that you can track the status of your open issues and keep a history of your support requests. Knowledge base – Having a thorough knowledge base to help you search for your own answers can really help. Tutorials – Detailed tutorials (including videos) can make maintaining a website much easier. Evaluate their website – See what types of support they offer and their hours. Look at their forums and evaluate their tutorials. Contact their support department – Contact them with some questions and see how professional they are in their responses. Read reviews – See what other users say about them. Be careful, though, there are a lot of misleading reviews out there. 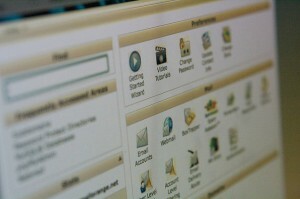 User friendly control panel – I recommend sticking with hosting providers that utilize cPanel. It is a widely used and support web site administration system. Automated installation/script – If you are not comfortable in installing scripts, look for a hosting provider that offers Fantastico De Luxe (or similar) to automatically install wordpress and other software. No limits – Look for a provider that provides unlimited databases, email accounts, emails, sub-domains and FTP accounts. Limits on bandwidth and disk space are acceptable. Automated backups – Your website needs to be backed up on a regular, consistent basis. Make sure that your hosting provider does this automatically. Price – Although many people gravitate towards picking a provider based on cost/price, I believe that this is the least important consideration. A low quality web hosting company can be devastating to your business. As you can see from the Google Analytics screen capture below, one of my sites more than doubled its traffic (pageviews) after I switched hosting providers. The site was being unintentionally throttled because it was on an overloaded, shared server. Although you may need to save on web hosting costs while you are early in your startup phase…it definitely does not pay to scrimp when you become more serious. Liquidweb – My preferred provider for your more important websites. I use their VPS services (specifically their Storm On Demand offering). Their offering has been rock solid for me and their customer support has been exceptional. They also offer shared hosting and dedicated server options. Servint – I use ServInt to host some of my critical sites. They have proven to be very helpful in the sales/setup of some sites. Knownhost – I have multiple sites hosted at Knownhost. Never a problem with any of the sites, and their customer support has helped me with several site related issues. They were also one of the few providers that could set me up with multiple C classes for my various sites (which was important to me from an SEO perspective). They do not offer telephone based support, so if that is important to you, I would select another provider. Keep an eye on your websites and your hosting providers. As your sites become more critical to your business, you will probably want to invest in a monitoring service that will repeatedly check to make sure your sites are available and working correctly. Have you ever used Hostgator or Bluehost? Do you recommend either of those?